A peace process scheme allowing former paramilitaries convicted of serious crime to walk free after two years for turning state's evidence affects public confidence, Northern Ireland's Director of Public Prosecutions said. Loyalist supergrass Gary Haggarty, 45, pleaded guilty in the summer to 202 terror offences, including five murders. He is due to be sentenced in coming weeks and is expected to be freed under controversial assisting offender legislation. 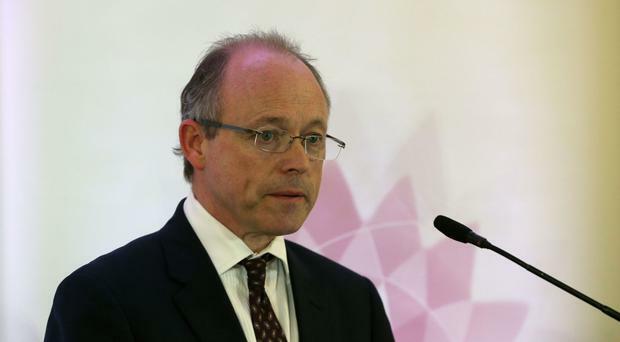 DPP Barra McGrory QC said: "It does impact on public confidence but I have not heard any alternative." The maximum sentence which can be imposed on Troubles-era offenders who give evidence for the state under a political deal which largely ended the conflict is two years imprisonment and Haggarty has already served three years in custody on remand. The law meant he was offered a significantly reduced prison term in exchange for giving evidence against other loyalist paramilitaries. There are concerns about the quality of testimony provided in cases of this kind because of the admitted criminality of supergrass witnesses. Former Ulster Volunteer Force commander Haggarty's evidence is to be used in the prosecution of one man over the Troubles murder of two Catholic workmen in Northern Ireland. Because of his background corroborating evidence from other sources is needed to reinforce his testimony in court to stand a chance of successful prosecutions. Mr McGrory said assisting offender legislation was intended for an entirely different purpose. "The two-year limit was designed in 1998 to implement the Good Friday Agreement and get the prisoners out of prison, the vast majority of whom had served much, much longer than two years. "It was never designed or contemplated that it would be used many years later as a maximum amount to serve in prison in circumstances where much longer sentences are in fact imposed by law but are then never served. "I have a difficulty with that as DPP because I think it is not understood in that context and those who designed it never meant it to be." He said legacy convictions in which someone was released under the scheme were rare.